HARPER WOODS, Mich. (WXYZ) — When you are driving home from work do you look over your shoulder to make sure no one is following you? After what police suspect lead to home invasion in Harper Woods, you might what to . Harper Woods Police say a woman got off work, then she and another woman headed to her home in the 19900 block of Kenosha. The next thing they knew there were two masked men and one of them had a gun. The women tried to run into the house to get away, but the men were too fast. They came in the house and demanded money. 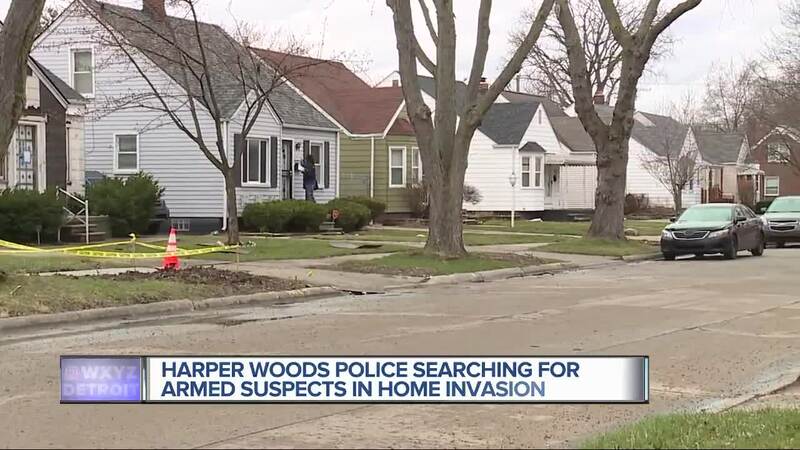 “As soon as they entered the home something scared them off and they fled the location,” said John Vorgitch, Deputy Police Chief in Harper Woods. Police soon arrived. A police dog tried to track the two men down, but couldn’t find them. As policed talked to the woman who lives at the house, they developed a theory that you should keep in the back of your mind. “We believe she was followed home from her place of employment in the city in Detroit,” said Vorgitch. Police say if you suspect you are being followed home, call 911. The dispatcher will direct you what to do to be safe. It is better safe than sorry. “Pay attention to your surroundings. It is very important. I know a lot of residents have Ring doorbells. If they have time check their surveillance video,” he said.